Pardon me, but you skipped the most famous line in the play! Jason Zinoman, writing for the ArtsBeat for NYTimes.com, has been recounting the fun of “When Things Go Wrong” at the New York International Fringe Festival running through the end of August. I, too, am an avid lover of watching things go wrong. 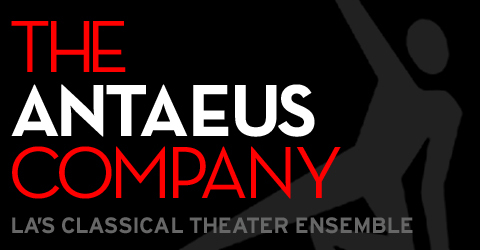 Antaeus’ ClassicsFests have similar limitations as the NY Fringe. With almost no rehearsal time, our festival plays are staged, still on book and use the main stage production’s set and light plot. Our Classics Festival is one huge obstacle course for our actors. This is one of our most anticipated, popular events to attend and participate in—mishaps and all. Last year, the actor playing Richmond was stopped by the actor playing Richard III walking out on stage and interrupting him mid-speech. Why? Richmond had accidentally skipped over the “My kingdom for a horse” speech, and Richard III wasn’t going to miss out on performing it. In other readings: an actress had to read her own stage directions when the reader dropped the ball on a crucial action. Missed entrances, missed lines, incorrect sound cues, partially choreographed fights—all add to the thrill of experiencing something LIVE. This is why the audience loves things going wrong in a show. It is the excitement of watching actors handle the unexpected. This is why I love the theater. A group of people get together on any given evening, and no matter how long the run, this audience experiences a performance no one else will ever see. A collective personal memory. Live is better. —Kendra Chell is a member of A2, The Antaeus Academy’s ensemble, and also works as Company & Administrative Manager of Antaeus. She can next be seen in The Illusion, directed by David Bridel.